Pull on your wellies and get stuck in with the gardens team at CAT this Easter Holidays! It’s that time of year again when CAT’s gardeners are busy preparing beds, planting seeds and tending to the polytunnels, and you are invited to go along for the day and get involved. Get the kids out and about in the spring air and get their hands dirty with potting and planting seedlings in our ‘container garden’. An inspiring tour will conjure up all sorts of ideas you can take home to your own garden, including how to encourage wildlife, how to be chemical-free and how to make the most of your space. 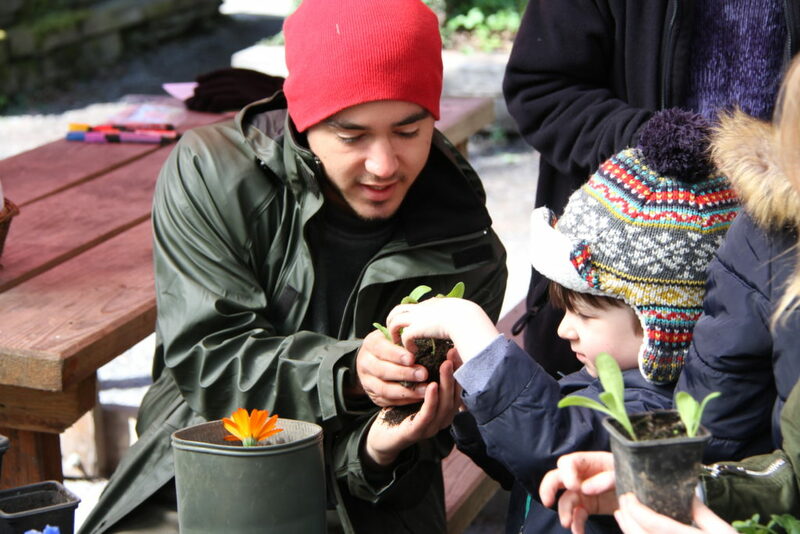 At the end of the day, children are invited to plant their own seeds to take home as a souvenir from a great day out. The next gardening activities are taking place on Tuesday 16th & Wednesday 24th April. Explore CAT’s organic gardens in spring with Gardener Petra Weinmann. Get your hands muddy helping a CAT gardens volunteer and learn some spring gardening skills from the ground up. Fun for all ages! What seeds can we sow in spring to benefit our insect friends throughout the year? Have a go at planting your own spring seed to take home. Activities are free with your entry ticket and you are welcome to come for a little or as much of the day as you like! Play clothes advised.